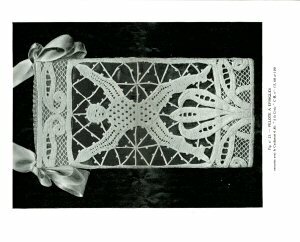 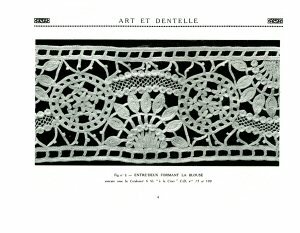 Unusual motifs and panels in deeply embossed crochet, similar to Irish Crochet. 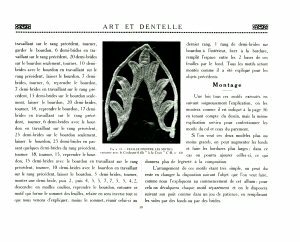 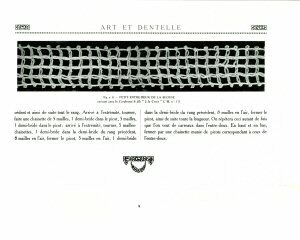 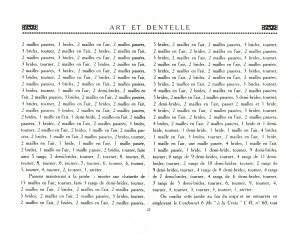 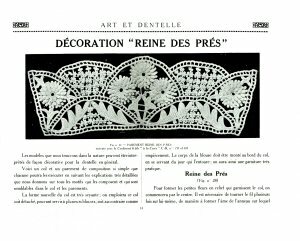 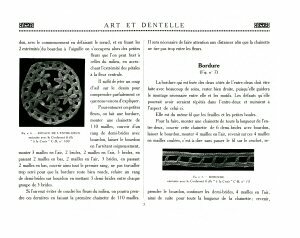 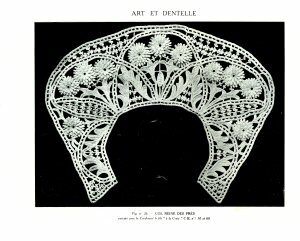 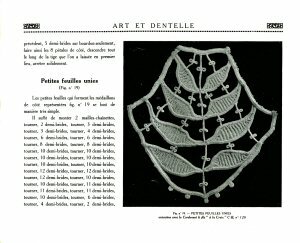 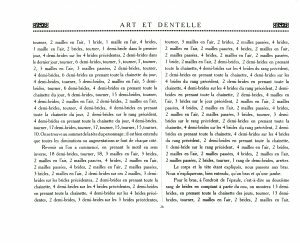 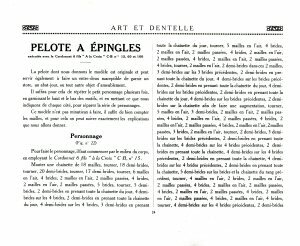 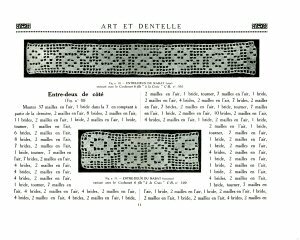 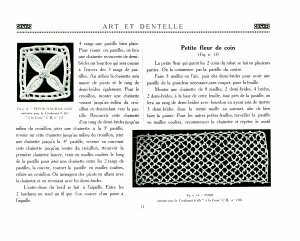 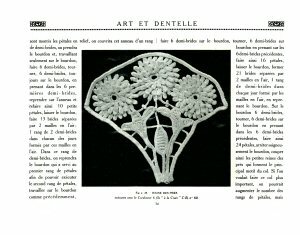 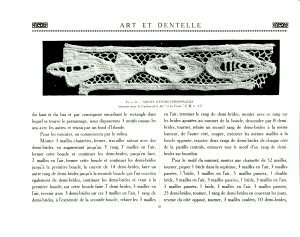 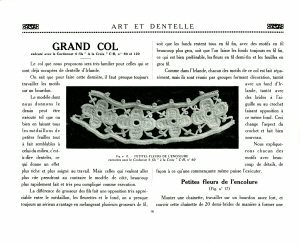 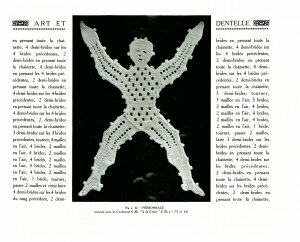 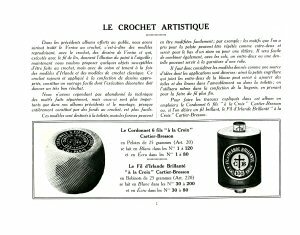 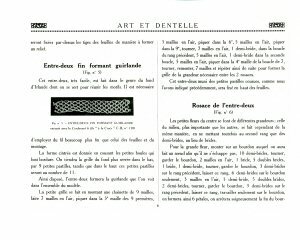 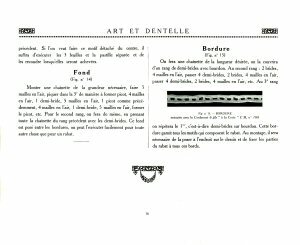 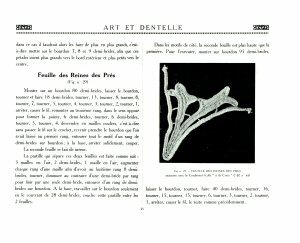 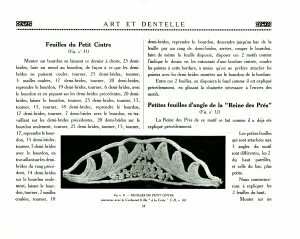 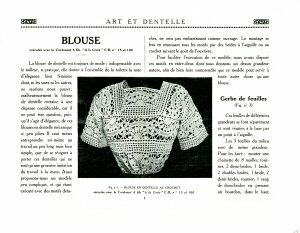 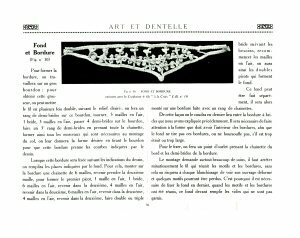 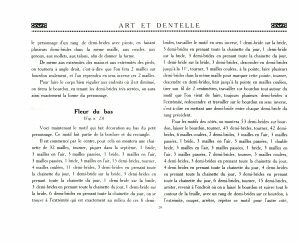 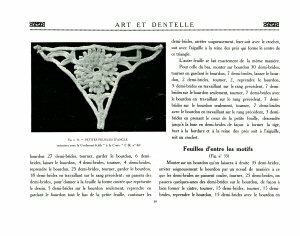 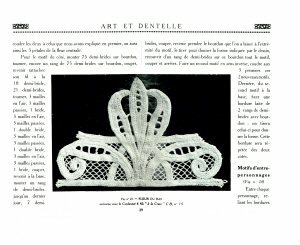 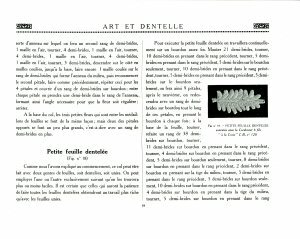 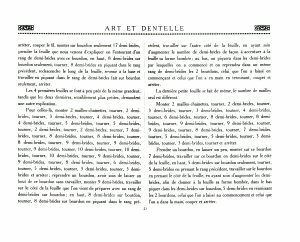 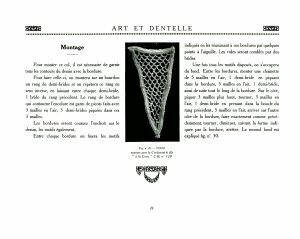 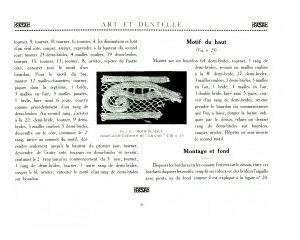 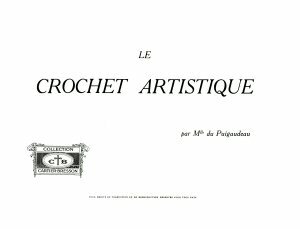 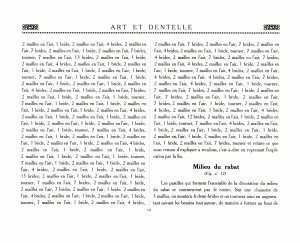 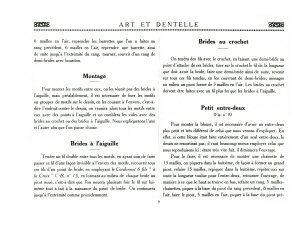 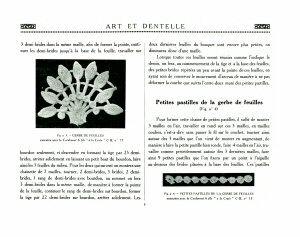 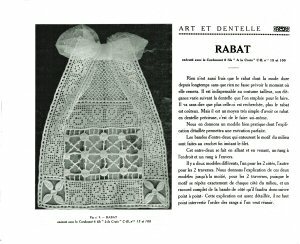 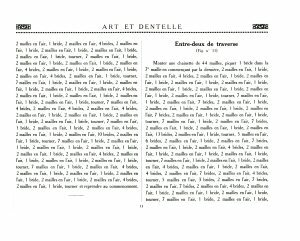 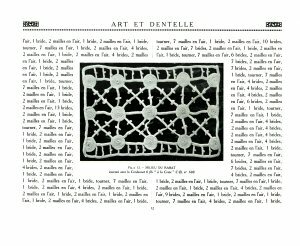 French language instructions, some charts for a project with filet crochet trim. 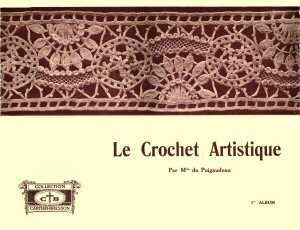 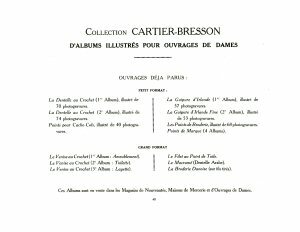 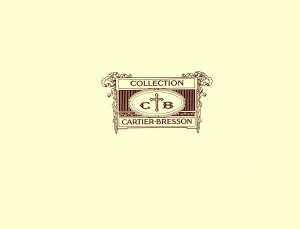 Collection includes a purse with an acrobat, a carnation cuff and collar set, with matching insertions for a blouse; and a sampler of crochet mimicing other lace styles. 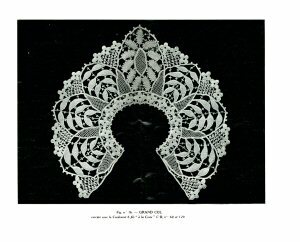 From the collection of Sytske Wijnsma, scanned by Seya Wijnsma-Spek, edited by Sytske Wijnsma.